However, note that above is not a complete list. There can be other flaws present. How to use the user control? Make sure that in sitefilemanagercontrol.ascx you inherit from SiteFileManager.SiteFileManagerControl class. Also, note that the user control uses two session variables of type string. You must enable session state for the web form (ASPX page). So, go ahead and use this FREE control in your applications. 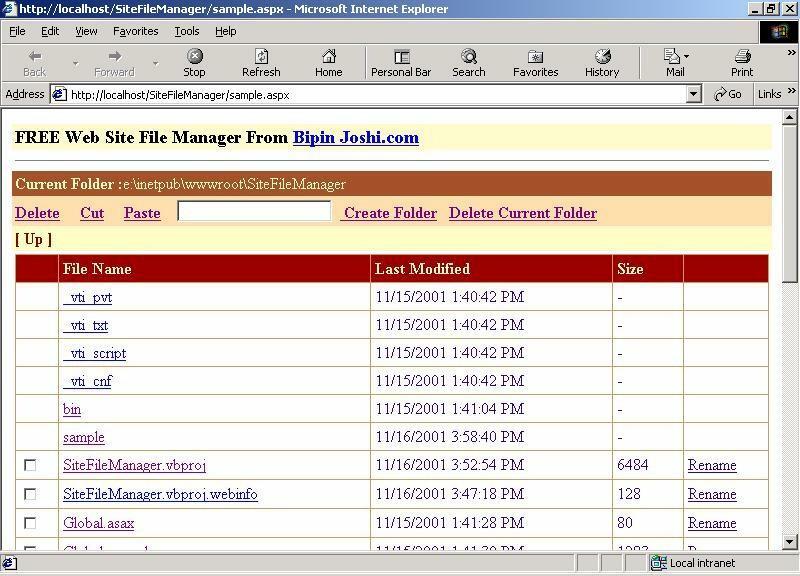 sitefilemanagercontrol.ascx : User control file that contains various elements of the control.